The unprecedented pace of new real estate development in Bangkok’s Riverside area has been enhanced by the expansion of the mass transit train line which has transformed life for residents on the Thonburi side of the river. Minor International, a hospitality and retail industry leader, envisions boundless potential in the neighborhood as a compelling lifestyle destination. The company continues to develop, diversify and expand upon its long standing retail and hospitality position locally with new projects, comprised of upscale hotels and a shopping plaza. Riverside Plaza reflects one such venue, which will address every lifestyle need to the delight of local residents and out-of-town travelers alike. 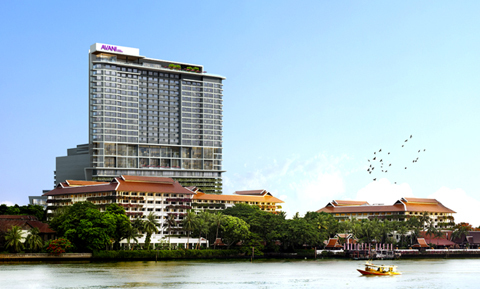 A unique grouping of diverse retailers, outstanding restaurants and world class hotels all under one roof, Riverside Plaza addresses every lifestyle need for local Thai families and out-of-town visitors. Relax on an open and airy terrace, and soak in an unparalleled riverside atmosphere at the new meeting spot in town. A hotel owner, operator and investor with a portfolio of over 100 hotels, resorts and serviced suites under the Anantara, AVANI, Oaks, Per AQUUM, Four Seasons, St.Regis, Marriott, Elewana. In addition, MINT operates mixed-use businesses. 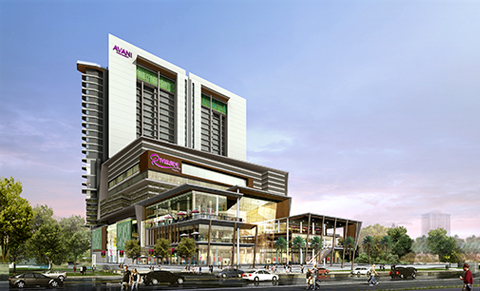 These include real estate business, comprising the sales of residential and Anantara Vacation Club, spa business, Royal Garden Entertainment and a retail development business (With major retail developments including Royal Garden Plaza in Pattaya, Riverside Plaza in Bangkok and Turtle Village in Phuket). Leading distributor of international lifestyle consumerbrands in Thailand focusing primarily on fashion, cosmetics, and household products through retail.